Have you ever thought about pursuing a PhD in mathematics education? It's application time here at CU-Boulder and I'd like to encourage you to apply. For me, I had no idea what to expect of a PhD program, or why I should consider one program over another. I feel fortunate to have landed a spot in a high-quality program in my now-home state, but for many of our students it's worth a move across the country to be in Boulder to work with some of the best faculty you'd find anywhere. 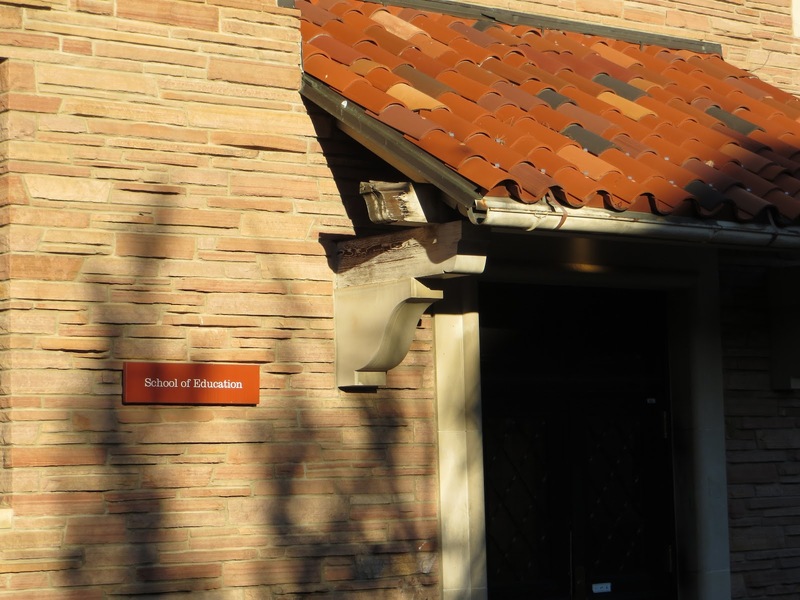 If you apply to CU's School of Education, here's some of what you should expect. If you choose to attend CU-Boulder and enter the program, you'll be required to take on graduate studies full-time. You'll take most of your first-year courses as part of a cohort, and you'll have an assistantship that will likely include doing research, teaching courses, or supervising student teachers. There are many PhD programs that allow for part-time study over a decade or more to complete a degree. We're not one of them. Instead, you get to make graduate school your full-time focus, and in return the university promises to support you with an assistantship and tuition credits for at least three years. No, you won't get rich in grad school, but for many students it allows them to pay the bills and avoid racking up debt. There are five program areas in the School of Education: Ed Psych/Learning Sciences, Foundations and Policy, Equity and Cultural Diversity, Research and Evaluation Methodology, and Curriculum & Instruction. Mathematics education fits into C&I along with science education and literacy studies. During your first year you'll be exposed to people and ideas from all the program areas as you learn the research methods and foundations that will prepare you for your future studies. David Webb (my advisor) has interests in mathematics curriculum, assessment, computer science, and Realistic Mathematics Education (RME). RME is a curriculum design philosophy originating with Dutch mathematician Hans Freudenthal, and when David came to CU from Wisconsin he brought the Freudenthal Institute US with him as its Executive Director. If you study math ed at CU-Boulder, you're also studying at the Freudenthal Institute, and RME gives us a common foundation for how we conceptualize the teaching of mathematics and the design of curriculum. Vicki Hand's primary interests are in learning theory and equity. She combines the two in powerful ways to describe how math can be taught and learned to all students. It's tough but critical work. I was fortunate to take Vicki's "Theories of Math and Science Learning" course last spring and it was one of the best courses I've had at CU. Even better, Vicki is an absolute joy to be around. The newest addition to our math ed faculty is Edd Taylor, who will join us this spring. Not only will Edd give us the extra elementary math ed experience and knowledge we've been looking for, but his interests seem to be a natural bridge between David and Vicki's areas of expertise. Some of Edd's recent work involves working with teachers to understand and modify their curriculum to better meet the needs of culturally diverse learners. We're all excited to have him join us and I can't wait to take a class with him next semester. While those are the main three math ed faculty, you'll encounter other faculty with knowledge or interests in math ed. For example, Kim Bunning is one of our master teachers in our CU Teach program and is herself a product of our math ed PhD program. Bill Penuel is a learning scientist with a science background, but has several projects (including one I'm on) that reach into mathematics education. Margaret Eisenhart has for a long time studied how to interest females and minorities in STEM fields. If you have any interest in statistics and quantitative research methods, we have some of the best faculty anywhere, including Derek Briggs, Greg Camilli, Andrew Maul, and our Dean, Lorrie Shepard. So while we might not have the biggest program around, we make up for it with high quality experiences and high quality people school-wide. Vinnie Basil, a former science and math teacher who is interested in educational equity and integrated approaches to math and science curriculum. The application process isn't horribly difficult, but you'll have to act quickly if you don't already have application materials put together. You'll need things like your GRE scores, reference letters, transcripts, and a personal statement. Although the personal statement isn't very long, it's your opportunity to show that you have the kind of writing skill that you can later apply to your dissertation. That's important! And of course, as a math ed student, we expect your GRE math score to be pretty good. Applications are due January 1, and you should follow these instructions and not be afraid to ask questions!